Thanks to plenty of local parks, runners and walkers in Chattanooga and the surrounding area have a variety of options when it comes to getting outside! Partly shaded walking path in this 3 acre park with a playground. This park anchors the Northshore with large green spaces, an antique carousel, interactive water feature for the kids, and a cement path that connects to Renaissance Park to the west. Easy access to the Walnut Street Bridge via Frazier Avenue, which also offers easy access to the Riverwalk. Picnic facilities and restrooms available. Metered parking on site. Wooded trails and an asphalt path (part of it open to vehicular traffic, with a dedicated pedestrian/bike section alongside) near the Volkswagen plant. Picnic facilities and restrooms available. Free parking. Asphalt, crushed stone, and grassy/hard pack trails. Dog park on site, and trails are pet friendly, with multiple bag stations and trash cans on the trails for disposing of pet waste. Picnic facilities, restrooms, and water fountains available. Just off East Brainerd Road, this park has an asphalt walking path that loops around the park’s green space, playgrounds, dog park, Mackey’s Branch creek, and the park’s centerpiece: Heritage House. Restrooms, benches, and picnic tables are available. Free parking. The cement walkway in this park is inlaid with haiku poetry. Five Playcore exercise stations are located along the track, with interactive sculptures in the middle. No restrooms. Metered parking available; metered parking is free after 4:30pm. One mile asphalt-surface track. This large park houses eight soccer fields and has picnic tables and restrooms available. Free parking. Cement and crushed stone paths that showcase the park’s greenery, public art, and views of downtown. Pet friendly. Paid parking lot and metered parking adjacent to the park. This 15 acre park has a hilly 1/2 mile asphalt track. There is also a soccer/football field, baseball fields, sand volleyball court, and playground. Picnic tables and restrooms are available. Free parking. 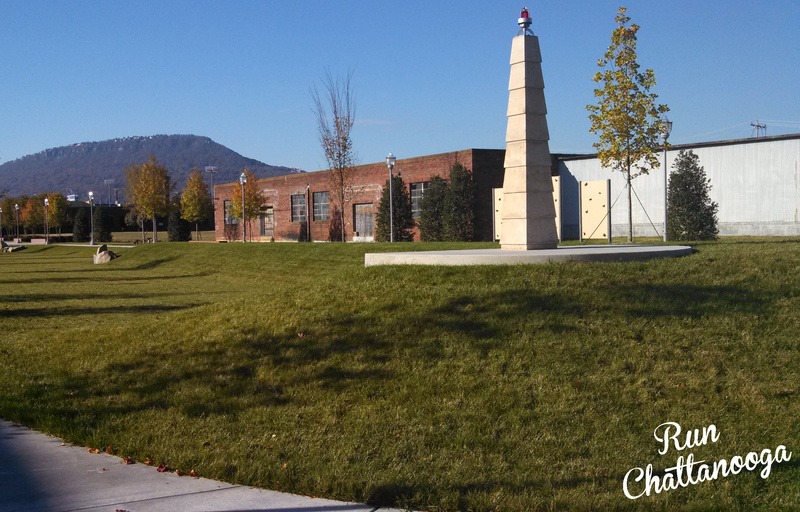 The Chattanooga area’s newest park. Map of Stringer’s Ridge trails. Eight miles of cement path that will take you from the Chickamauga Dam to downtown, marked in half-mile increments. Water fountains, restrooms, benches, and picnic facilities located along the path. 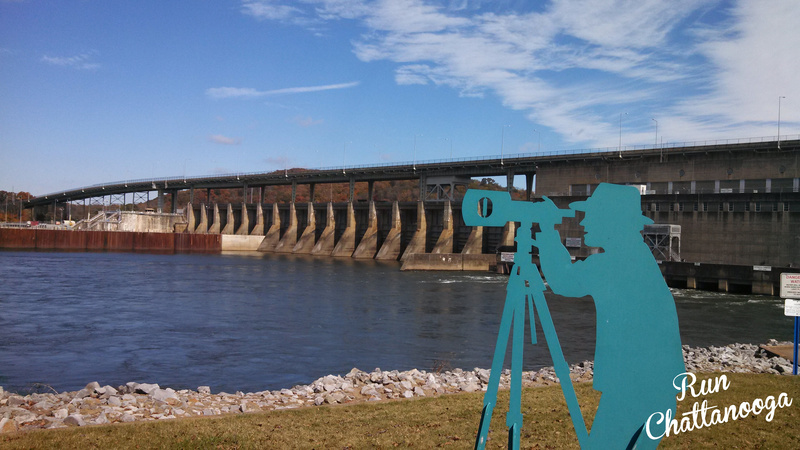 Keep an eye out for our in-depth look at the Tennessee Riverwalk on our blog. Chattanoogans saved this bridge from destruction, and now it’s a very popular pedestrian bridge. *Note: All parks listed below have restroom facilities and free parking UNLESS otherwise noted. Lighted asphalt track – 1/4 mile on the outer loop, 2/10 mile for the inner loop. Picnic tables and benches are available. NO RESTROOMS. 1/4 mile asphalt walking path near baseball fields. 2 mile flat asphalt walking path meanders past Camp Jordan Arena, large ponds, ballfields, soccer fields, and a sand volleyball court. 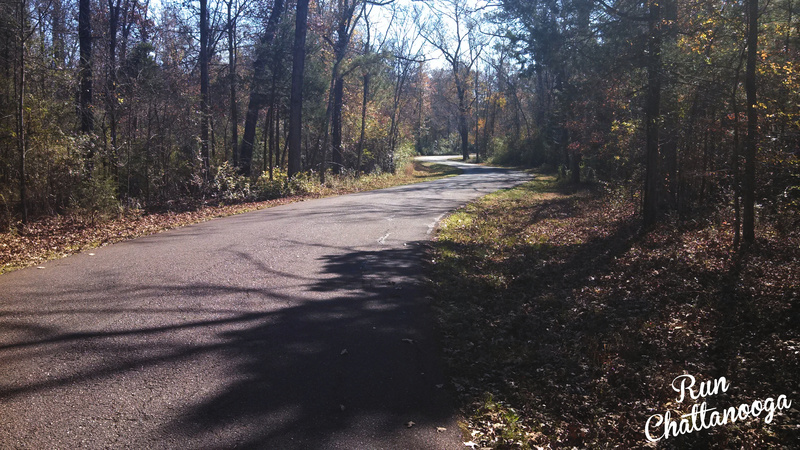 A Civil War battlefield, now a national park, the Chickamauga Battlefield offers miles and miles of asphalt to run on (traffic is light and some roads have a dedicated bike/pedestrian lane), as well as an extensive trail system. This is a popular place for those training for marathons to do their long runs. You’ll pass large open fields, monuments, and cannons along your way. Rolling hills. Restrooms are available in the visitor’s center on the north end of the park, as well as non-flush restrooms on the southwest side at Wilder Tower. Plenty of free parking all throughout the park, with lots at the welcome center, Recreation Field, and Wilder Tower. Water fountains at the visitor’s center. Trail maps are also available at the visitor’s center. 1/2 mile asphalt track in a 13-acre park that also houses a small playground, softball fields, basketball court, and horseshoe pits. Restrooms are only open during events. 2/10 mile flat asphalt walking path in this 10 acre park that also has a playground, baseball field, tennis court, and picnic tables. Walking path. Restrooms available. Free parking. Three miles of wooded trails with a crushed stone path. Benches are placed along the trail and picnic tables are available near the baseball and soccer fields. On the north end of Soddy-Daisy on Dayton Pike. Large ballfield complex with flat walking track, playground, and horseshoe court. 1/5 mile asphalt path around two large playgrounds. Benches along pathway and covered picnic facilities. In the 9000 Block of Dayton Pike in southern Soddy-Daisy. 1/4 mile flat asphalt walking track with benches. Covered picnic tables available. Keep an eye on our blog for features on individual area parks! Are we missing your favorite park? Have you discovered a lesser-known park that you want to share with area runners? Let us know so we can keep this list up-to-date and accurate.